Happy New Year to every member of this awesome community. Not a lot but yeah I do curse a bit. Plays chess? Mujhe Urdu bolni toh nahi aati par samajh leta hoon. A lot. Likes Linkin Park? Yes! They are some of the best books I've read. has watched Attack on Titan? Sure. Has read the Song of Ice and Fire series? Hahah wish I was, though I am not that bad at studies either. is a Dickens' fan? Yamcha from dragon ball Z and Bourbon have the same voice actors! When I came to this wiki for the first time in 2015 I was rather surprised when I found out that this series had not been finished till now, and 3 days into detective Conan I realised that it was still a long way to completion. I really hope the ending is worth this waiting. Detective mangas are not supposed to be long just because the material is very difficult to prepare and after a while things do get repetitive. 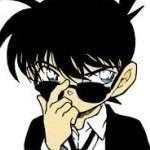 Quite frankly if Gosho would have wrapped everything up in 37 volumes or something by just doing the plot based cases, detective Conan might have gone down as one of the best Japanese mangas of all time. 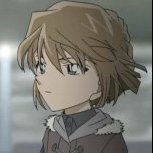 Ok so here's the thing, Akemi was like 25 years old in the current timeline so if you're saying she killed Haneda Kohji you're basically saying that she was capable of killing at the age of 7. I asked out of curiosity. Anyways on the topic, the Kohji Haneda case has something to do with it and Akai clearly states that it was because of that case that he joined the FBI. The current Manga case is perhaps gonna reveal some more details about Akai and his family. If Akai does know about Mary's shrinking it would definitely be one of his motivations, but I am sure there is more to it. The Kohji Haneda case involved the second highest authority of the organisation. well that was because the FBI are conducting an illegal investigation, since they have not got the permission of the Japanese authorities. That does not mean that the FBI does not approve of this investigation, therefore the word "unofficial" creates ambiguity . Before going into anything else, how do you know that the FBI's search for the organisation is unofficial?